It’s an open secret in most organisations that the top team operates somewhere between mild dysfunction and open warfare. Are you getting ordinary results despite extraordinary effort? We have worked with many boards and divisional leadership teams of FTSE 250 and equivalent companies. Our clients include, amongst many others, Sainsburys, Barclaycard, Tata Steel, Lloyds Bank, Shell, Guinness, Land Securities, Centrica and BT. Through supporting them to have the Six Game Changing Conversations we have helped them deliver dramatically improved results and organisational change – and to do so with less effort and more enjoyment. A new leader of the team? A team whose membership has changed? Ready to push on after a restructure? Faced with a discontinuity in your market? Wanting to increase your level of ambition? Simply frustrated with the pace of progress? It doesn’t matter how talented the leader is, making genuinely transformational change is always a team effort. No leader has the breadth of strengths, the time or the knowledge of the entire organisation to deliver what is possible. Many, however, try to make up for this by working ever harder – and become more and more frustrated. Aiming too low. Most organisations planning and budgeting processes have the effect of discouraging genuinely transformational change or ambitious thinking. 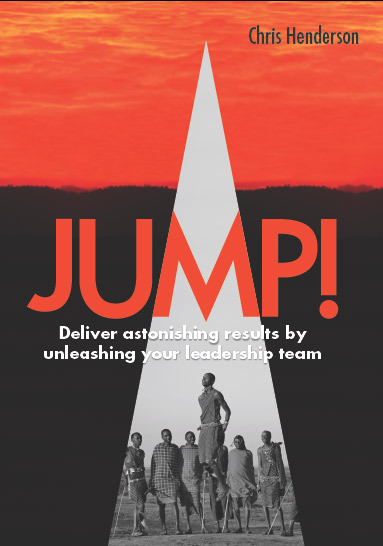 They collude with managers’ reticence to think the unthinkable or take personal risks by setting goals that they already know how to reach.The result is targets that are achievable but uninspiring and which fall short of genuine organisational change. Poor relationships. Relationships within the top team can become damaged in many ways. The pressures of their roles, the demands from their teams, politics, competition for resources, rivalries, interpersonal conflict or just not knowing each other well enough can all get in the way.Whatever the reason, discussions in the team are either superficial or become a tennis match of attack-and-defend. Unproductive time together. Top team meetings are often overcrowded and frustrating. Most items relate to managing today’s problems or monitoring yesterdays’ results. The same issues keep coming up but there is never time to get to the bottom of why this is or to put solutions in place. As a result, meetings can become an endless ‘groundhog day’ with the same problems cropping up in ever more different guises. As a result, the demands on the team leader get ever greater. More and more responsibility falls to them to motivate the organisation, mediate in issues which others should be resolving, make decisions and drive progress. Rather than being a source of motivation, both the job and the people become ever greedier in their consumption of your energy and time. Ambitious. They want to take organisational change further, faster. Savvy. They can see the importance of both the task and human dimensions of leadership. Open. They know that it’s often the issues that don’t get spoken about that hold the team and the organisation back – and are happy to discuss them. Bold. They are prepared to go for more even when they’re not sure how to get there and are ready to confront difficult people and issues to make progress. Flexible. They are prepared to try new things because they know that ‘if you keep doing what you’ve always done, you’ll keep getting what you always get’.